Castrol hasn’t forgotten the two-wheelers, introducing an all-new Castrol Power1 range that comprises four new formulations and an additional two that were updated to better cope with a motorcycle’s special demands in traffic conditions. Leading the Power1 range is the Cruise 4T 15W-50 1L, Racing 4T 10W-40 1L, Scooter 4-AT 5W-40 1L and 10W-40 1L. The updated mixes are the 4T 10W-40 1L and Racing 4T 10W-50 1L. Of course, being new lubricants and all some secret sauce has to be added into the mix. 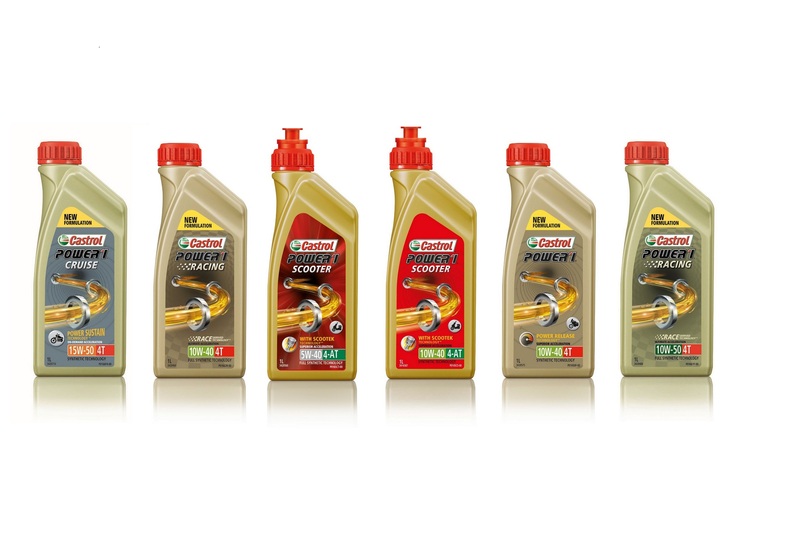 Castrol touts its Power Release Technology that optimises internal friction for quicker, more superior acceleration. A 5.2km three-stage acceleration test on a 135hp four-cylinder supersports engine running the 10W-40 executed the run 6.6-seconds quicker than a competitor’s 10W-40 mix and 2.8-seconds quicker than a previous formulation. As for the Scooter with Scootek Technology, it brings superior acceleration at the mere touch of the throttle while Cruise with Power Sustain Technology manages heat and friction in big bikes, ensuring continuous power delivery during long distance riding. In conjunction with the launch, Castrol as the sponsors of the Castrol LCR Honda team in MotoGP, took the opportunity to announce the new Castrol Power1 Racing with Race Derived Technology. As the name suggests, the oil is proven to stay strong and deliver consistent acceleration in race track conditions.